Join Gannon Travel Associates for a two night gambling getaway and a show in Branson! Downstream Casino brings Las Vegas style gaming and entertainment to the tip of northeastern Oklahoma. You will find more than 2,000 of the newest slot machines, table games, poker, 374 luxurious rooms, an indoor/outdoor pool, Eagle Creek Gold Club and six fabulous options to satisfy your taste buds. A visit to this beautiful casino, owned and operated by the Quapaw Tribe of Oklahoma, puts you in three states with one stop! The main entrance is in the Show Me State, the parking lot is across a state line in Kansas and the casino, resort and golf club are in Oklahoma! Included in the two night stay is an evening trip to the stunning Sight & Sound Theatre for a performance of “Samson” with dinner prior to the show at one of Branson’s famous restaurants. Full payment is due within 1 week of registration to hold your spot. 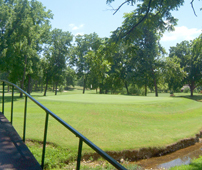 When making your reservation, please let us know if you would like to play golf at Eagle Creek Golf Club. Cancellation Policy: Cancellations made after September 2nd will receive no refund. No fee will be charged for name changes.